The Mazda Bongo Friendee & Ford Freda are an extremely versatile ‘weekender’ MPV’s able to transport 8 people comfortably, sleep 4 persons, have the flexibility of cooking and washing facilities and yet be suitable for normal daily use. It hosts a very lively yet economical 2.5 Turbo Diesel, 2000cc petrol or 2.5 V6 Petrol engine. Mazda Bongo models can come with or without electric elevating roof, with or without camping conversions of your choice. To encourage domestic sales most automobile models undergo a complete model change every few years, with slight front and grille changes every one or two. Generally, the condition of Japanese cars is far better than that of our European counterparts due to the driving environment, thus avoiding corrosion problems. Take a look at any of our imported vehicles engine compartments, and what you see speaks for itself. They are amazing! Or Japanese imports also have a higher specification than their European equivalents, for example air conditioning and power steering are standard on all cars. Indeed, the Japanese expect as standard many of the options that we have to pay extra for when buying European cars. Another reason for the superior condition of Japanese imported vehicles is the mandatory ‘Shaken’ (warranty of fitness) test that all Japanese cars must undergo. This test is far more detailed than any European inspection. The Shaken that comes with a new car in Japan is valid for three years, but must be renewed on a biannual basis. This rule is strictly enforced and the massive cost of renewing the Shaken, compared to low new car prices is a huge incentive to Japanese drivers to trade their cars in. Consumers in Japan are required to provide proof of parking space for every vehicle when registering new and used cars. This is compulsory and scrupulously controlled to the extent that in most areas police will physically measure the parking space to ensure it is appropriately sized for the intended vehicle. 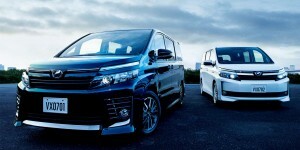 It is this steep depreciation which makes used cars in Japan economical enough to be viable for export throughout the world of right hand drive countries. Please review just a few of the 100’s we have sold into the UK and probably complementing a forecourt near you.